Over the last few years, I’ve been trying to make homemade bread whenever possible. My mother-in-law makes amazing bread but can’t remember the amounts of the ingredients! 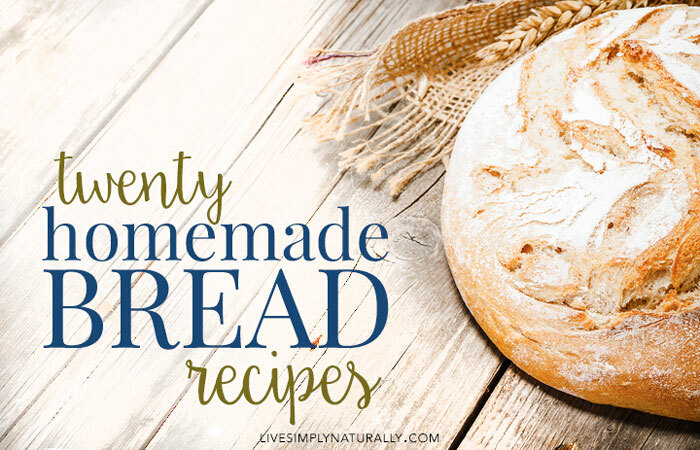 Some day I’ll be able to share her amazing bread recipes, but for now, I’m sharing these 20 Homemade Bread Recipes with you to either jumpstart your bread-making journey or to give you some extra ideas if you are already knee-deep in yeast and flour. This Swedish Rye Bread recipe works well with a light rye flour but can be made with any rye. This Sweet Bread recipe is one of those very versatile recipes that goes with anything! Effortless Dutch Oven Bread that is crusty on the outside and soft on the inside! If you are looking for a lunch bread, this Honey Wheat Sandwich Bread is just the ticket! It’s light enough to slice for sandwiches and it toasts nicely for grilled cheese and soup. You can use this Easy Homemade Flatbread as a base for a quick and healthy pizza, a sandwich, or dip it into hummus. These Jalapeno Cheddar Dinner Rolls are yeasty, not too spicy, and full of bold sharp cheddar flavor. Are you sensitive to gluten? This Gluten-Free White Bread is perfect for sandwiches, toast or anything you’d like with bread! This recipe produces a nice soft loaf of bread that’s got a great texture and chew. This is the classic White-Wheat Bread Recipe that can usually be found on the Gold Medal flour bag. Yum – this bread goes really well with anything Italian. You have to try this Mozzarella Garlic Pull-Apart Bread if you are making pizza, pasta or anything like that! You could buy an expensive artisan loaf from the store, or you can try this Garlic Rosemary Bread! It’s cheaper, healthier AND tastes better! This healthy Chocolate Coconut Banana Bread is oil free and has very little added maple syrup. Just beware, it won’t last long! This delicious Multigrain Wheat Bread Machine Recipe is made with multigrain cereal, whole wheat, and honey and is simply delicious! No eggs in this Angry Orchard Bread recipe. Looking for a healthier zucchini bread? Try this Whole Wheat Blueberry Zucchini Bread which uses applesauce and 100% freshly ground whole wheat. You could also use honey for the sugar if you’d like. Try these Bread Machine Dinner Rolls for the perfect addition to fall soups and stews. This Homemade Whole Wheat Crusty Bread has a chewy, crusty exterior, and a custardy, bready interior. It’s also highly addictive. Consider yourself warned. 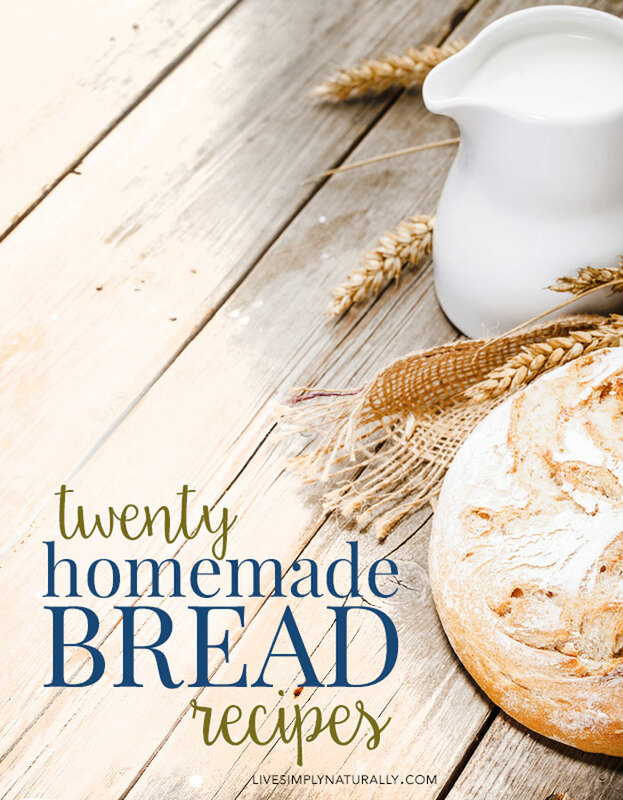 Looking for an Easy Bread Machine Recipe? Then try this one! It barely takes any thought it’s so quick and easy! If you’re thinking Cinnabon, this Homemade Cinnamon Swirl Bread is totally that. It has that soft white breadiness wrapped in gooey, sticky, cinnamon sugar love. Try it. Now. Ok, let’s talk bagels. That’s right my friend, you can actually make your OWN Homemade Cinnamon Raisin Bagels and they are better than anything store-bought. 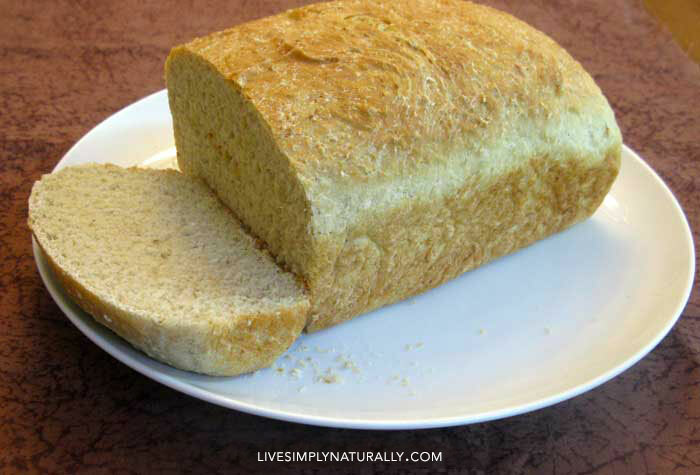 You will never come across an English Muffin Bread as easy as this. You literally add all the ingredients together at one time, mix, and put in the pans. No need to flour a board, no kneading, no loaf forming, nothing. This Homemade Oatmeal Bread Recipe was SO very easy to make. You will see in the photos below the very few steps it took to make it. I think it was very easy for me because I have a KitchenAid Mixer that I use to knead the dough and that takes all of five minutes when I can put away the ingredients used to make the bread. Thank you for featuring my Angry Orchard bread recipe! I love this! I’ve been wanting to try my hand at bread baking for a while now! The Swedish Ryue Bread looks so good. I love to make my own bread, but didn’t have a great rye recipe. Will try this. Oh what a wonderful list of bread recipes. I’ve been thinking about making my own bread as a healthier alternative, and as your other post pointed out, save money too! I’ve just started making bread. So thanks for sharing these recipes. I just started baking bread in the last year and a half or so, after having been traumatized for years for failing at it when I first got married. Thanks for sharing some great recipes. Can’t wait to try them. Great ideas! I have bread baking on my must list of things to do and your great info has inspired me. I love date nut bread and I can never find it. 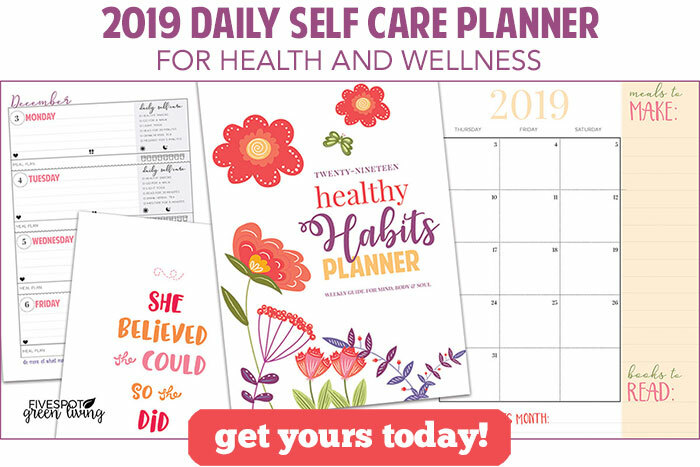 Date nut is first on my list!